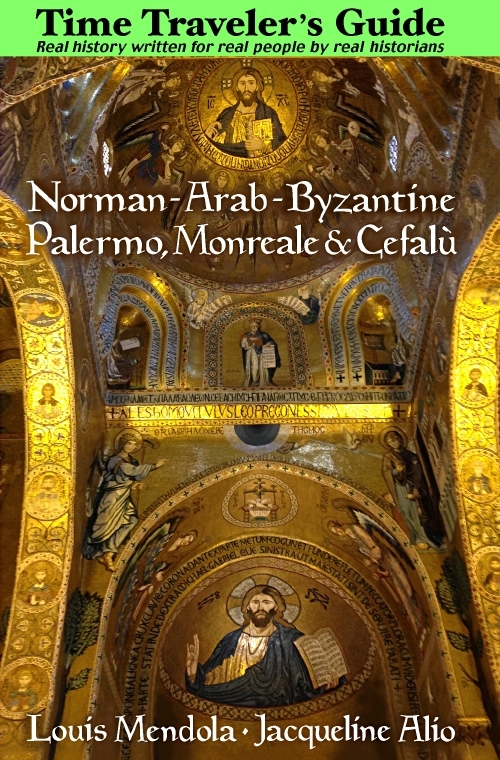 Capuchin Catacombs and Mummies - See Palermo and Western Sicily. Are they really "catacombs" in the strictest sense? By definition a catacomb is an underground cemetery characterized by tunnels and chambers, having niches for graves, and the catacombs of early-Christian Rome come to mind. One thing is for certain. The corpses preserved here are mummies. The Capuchin Monastery, with its unusual catacombs full of mummified cadavers, is a bit macabre, but worth a visit. Shortly after the construction of the present complex circa 1533 the Capuchin friars began the practice of embalming bodies --then an unusual idea. When the effects of the preservation were discovered some years later, they began embalming the corpses of Palermo's bourgeoisie and nobility. This tradition was followed into the early years of the twentieth century. After being embalmed, the corpses were hung up along the walls of the Catacombs, dressed in their finest clothes, where they still rest in peace. Among some of the more outstanding ones are a military officer in an 18th century uniform complete with a tricorn and the extremely well-preserved body of a little girl named Rosalia of about seven years old who had the distinction of being the last person to be thus embalmed here in 1920. You are not very likely to see anything like this anywhere else but in Palermo. 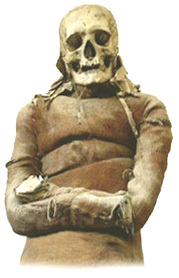 Indeed, scholars have come here from around the world to study this particular case of historical mummification. As for the church, it was remodeled over the remains of a medieval church in 1623, and was once again restored in the early part of this century. It contains some minor works by the noted sculptor, Ignazio Marabiti and is also known for its manuscript collection.